It begins the moment you embark. An immersion into luxurious wonder. An extraordinary sense of well-being. 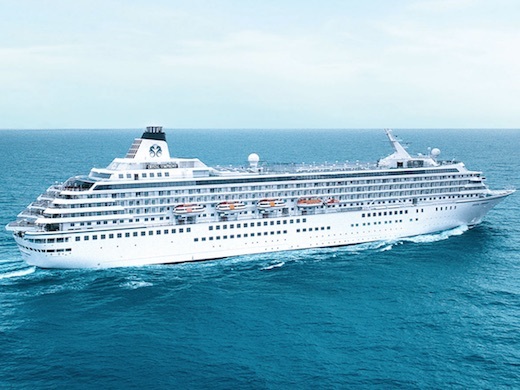 The Crystal Symphony is one of the most spacious and luxurious cruise ships at sea. Onboard amenities feature grand lounges, a full-service fitness facility, a Caesars Palace at Sea casino, a lavish spa, expansive decks, two pools, award-winning cuisine and entertainment. To top it off, exquisitely-appointed staterooms, more than half of which offer private verandahs. Considered to be the finest shipboard staff afloat, it is their goal to anticipate your every need and to make this a vacation to remember. Fairmont Pacific Rim is a Vancouver hotel that is sure to impress with captivating views of the water and mountains. Featuring a rooftop pool with fire pits and a hot tub, the hotel offers a full-service spa and a 4,000 square foot gym. The Lobby Lounge features nightly live music, sushi, and handcrafted cocktails. Giovane cafe + eatery offers Italian cuisine and coffee for breakfast, lunch, aperitivo, and weekend brunch. Located in the heart of downtown Anchorage, Alaska's Captain Cook Hotel is a perfect basecamp for adventure, offering the best cultural, retail and natural highlights just steps from your door. In the mood to stay in? Indulge in one of our four distinctive restaurants, shop for gifts or unique souvenirs in one of 12 shops or take in the views of neighboring Cook Inlet and the Chugach Mountains from any one of the 546 rooms and suites.